Weight: 6.45 kg kg Dimensions: 168 x 485 x 445 cm First Page Out (ready) - Black: As fast as 18 sec First Page Out (ready) - Colour: As fast as 21 sec Print Quality Black (best): Up to 1200 x 1200 rendered dpi (when printing from a computer) Print Quality Colour (best): Up to 4800 x 1200 optimized dpi color (when printing from a computer on selected HP photo papers and 1200 input dpi) Duty Cycle (monthly, A4): Up to 1000 pages Print Technology: HP Thermal Inkjet Processor Speed: 360 MHz Print Languages: HP PCL 3 GUI Display: 5.5 cm (2.2″) Hi-Res Mono LCD Replacement Cartridges: HP 63 Black Ink Cartridge (~190 pages); HP 63 Tri-color Ink Cartridge (~165 pages); HP 63XL Black Ink Cartridge (~480 pages); HP 63XL Tri-color Ink Cartridge (~330 pages). HP EPrint Capability: Yes Mobile Printing Capability: Features wireless direct and local Wi-Fi connectivity to enable mobile printing via HP ePrint, Apple AirPrintTM as well as other solutions; Mopria-certified. Supports printing from most smartphones Wireless Capability: Yes Key Features Print documents and photos, copy, and scan WiFi enabled for wireless printing Borderless printing Auto duplex printing Scan to email ISO print speed black: up to 9.5 ppm ISO print speed color: up to 6.8 ppm Includes HP Instant Ink-ready cartridges Condition: new Dimensions: 17.52"x14.45"x5.04" Weight: 11.9 lb. You can afford to be creative with HP Instant Ink Save up to 50% on ink and never run out. Print lab-quality photos at home for pennies. Full of value. Print up to twice as many pages or photos with Original HP high-yield ink cartridges. Get high-quality prints-time after time-with an all-in-one designed and built to be reliable. Everything you need to create Print, scan, or copy quickly and easily with the 2.2-inch (5.5 cm) display-simply touch and go. Save paper and conserve resources-use up to 50% less paper with easy, automatic two-sided printing. 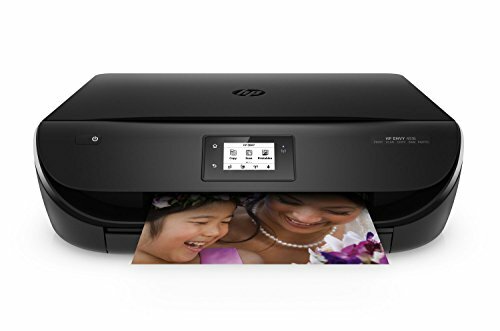 Print borderless, lab-quality photos, laser-quality documents, scrapbook pages, and more-right in your home. Print remotely without worries. The auto-deploying output tray keeps your pages from landing on the floor. Do more in less space Save your space with a sleek, compact all-in-one designed to fit where you need it. Print in any room you choose-without causing disruptions-using the optional quiet mode. Access menu planners, news reports, recipes, and more with free HP Printables-delivered on your schedule. If you have any questions about this product by Supershop®, contact us by completing and submitting the form below. If you are looking for a specif part number, please include it with your message.